The legend is told in a book simply entitled, Santa Barbara, California. 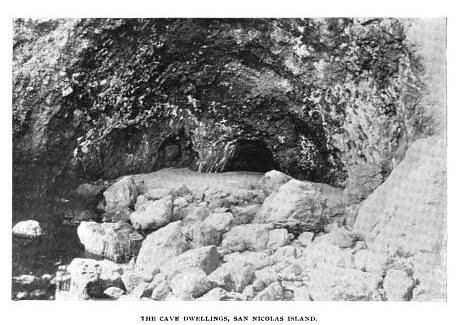 Written by Miss Leila Weekes Wilson, it was published in 1913, with the express purpose of illuminating highlights and points of interest to tourists and visitors to our local area, as well as new residents who had come to stay. Some of the things Ms. Weekes Wilson describes have been swallowed by the mists of time. Some buildings and places and bits of that earlier history survive today, linking us with the past. Ms. Weekes Wilson seeks to aide the traveler, and lists fraternal organizations, churches in town, prominent buildings and their locations, names and locations of local schools, and a list of fine hotels and boarding houses. She discusses the Arlington Hotel, the Potter Hotel, and The Gregson Hotel. She also mentions the Upham Hotel, "in every way excellent", which still stands today. A number of pages have been devoted to "pleasure drives" via car, horseback or carriage. She offers directions for THE MOUNTAIN DRIVE, or the MISSION CANON DRIVE, or the simply-stated GAVIOTA PASS drive, and one to FERN FALLS. "An EARTHQUAKE has not been felt here for a hundred years, so the danger from seismic disturbances need cause but little worry." "Money: Two bits equals 25 cents"
"Chinatown is more conspicuous than important"
Through her descriptions, we can see a bit more of what Santa Barbara might have been like in the beginning of the 20th century. 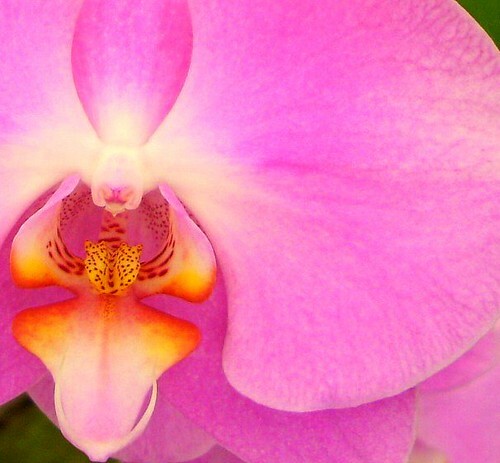 Beautiful, vibrant - yes. 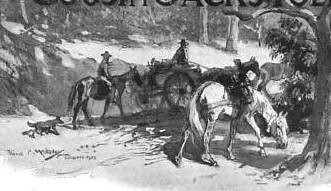 History tells us that horse thieves in California were common - as much so as today's car thieves. 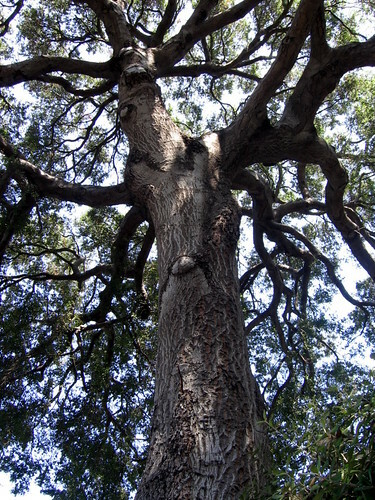 In her book, Ms. Weekes introduces readers to Santa Barbara's LARGEST OAK TREE - HORSE THIEF TREE. She begins by informing the reader that "the majestic 200-year-old oak tree commonly known as the 'horse thief tree'," was used by Spanish settlers to "hang Indian horse thieves." According to the book, in 1913, the stories of the "legendary history" of the tree were common knowledge around town. It was said that the early Spanish settlers would hang "Indian horse thieves" from the branches of the huge old oak, and riddle them with bullets. Since that time, it was said the tree was home to unsettled spirits. Mrs. Brandes, the owner of the land in 1913, advised Ms. Weekes Wilson that "several old settlers have told her the tree was haunted". The old-timers claimed to have witnessed ghostly apparitions near the tree, and wandering around the property. The tree, located on the 400 block of De la Guerra Street, had undergone major surgery in that year - 1913. The tree was huge, and measured over 21 feet in circumference. Mrs. Brandes had recently become concerned about the health of the large old tree. She had hired a tree surgeon from Los Angeles to come to Santa Barbara to try to save the tree, as it was suffering from life-threatening injury to its core. The injury had created a "cavity ten feet by three feet" in the center of the trunk. The tree surgeon, RB Sherman, had used a variety of methods to repair the damage: the inside had been burned out, lined with swinefurth green (? ), covered with mesh, then asphaltum, and "hermetically sealed" with chemical cement and quartz. 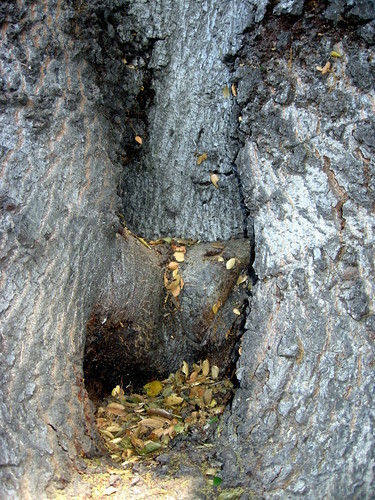 All over America, "men interested in tree preservation" were aware of the attempt to save the old oak, and of the radical measures used to repair it. Santa Barbara and the rest of the nation could only wait and hope that the tree would survive. 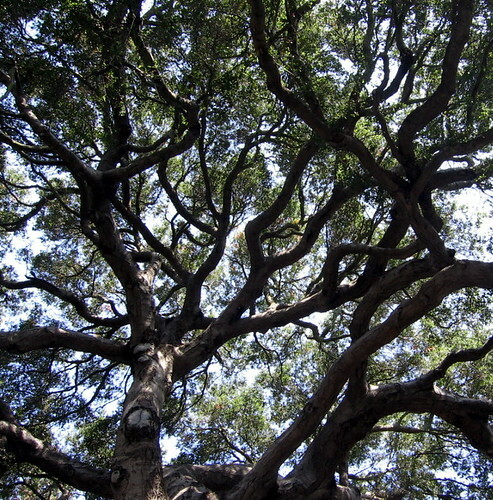 Ms. Weekes Wilson said the owner had decided to try to save the old tree, as it had "an interesting legendary history." Mrs. B, however, denied witnessing any otherworldly activity herself. In fact, Mrs. B gave a very prosaic explanation to counter the grizzly tale, by stating that she believed the tree was damaged by the previous property owner. The landowner was a gunsmith. Upon making needed repairs to various weapons, he would test the guns before returning them to their owners. He performed these tests by shooting at targets nailed to the trunk of the tree. Mr. Sherman, tree surgeon, did in fact remove 16 bullets of the "home-moulded type" when he was repairing the tree. The only physical evidence that remains, is the tree itself, which does exhibit a large cavity in the trunk. You will have to determine for yourself the cause of the injury - whether the work of a tradesman performed in his daily labors - or that of the lawmen and vigilantes of the day, whose work included hanging horse thieves from the strong, high branches of an oak tree. I drove over to the 400 block of De la Guerra Street, as mentioned in the book, and found two huge old oaks living on the north side of the street. An apartment building now stands on the property shared by the trees. It's a new building, made to look old. It is very possible that the property had been subdivided at some time in the past, and that one of these two old trees is actually the infamous "Hanging Tree." I have spent many days searching the internet - LA County Library website, Library of Congress, Online Archives of California - and my other books for any reference of the Hanging Tree. I can find nothing. I contacted the Santa Barbara Historical Society, Gledhill Library. They knew nothing of the story. I emailed the City Arborist, but have not received a reply. When I stand beneath the serpentine branches that whisper with the autumn breeze, a dark air of mystery swirls all around....I think about the true history of our city. I wonder if men actually hung from these branches as the stories have told, and if so, how many of them were actually horse thieves....or was that term just a convenient justification for a crime much darker than stealing horses? If the tree is, indeed, haunted - whose ghosts are these? The hanged - or the executioners? This is a true story that captivated America in the 19th century. The scene of the drama unfolded where the jeweled tones of the Pacific Ocean have flowed for countless millenia, coursing between mainland and islands in a waterway known as the Santa Barbara Channel. Long before the sea captain and the Lone Woman met, in the earliest days of human history, this area was home only to the Chumash tribes. Thousands of these Native Americans lived in the valleys, along the beaches, or on the Islands in the area known as Santa Barbara. Both branches of the tribe - mainland and island - led similar lives: They were peaceful, spiritual people. The gathered sustenance from the hills around them, the beaches and sea that lay before them, and from the blue and starry skies above them. They fished and swam. They ate seal, fish, mussels, and wild plants. Their shaman priests led the people in worship and celebration. They paddled their tomol boats back and forth across the Channel, and shared the riches of their life here. For thousands of years, the Chumash had few natural enemies, very little disease or illness. They had an abundance of fresh food and water, and plentiful resources to make tools, homes, art - society. Their physical needs were met with the rich abundance around them, giving them opportunity to develop their sophisticated society and an intricate mythology. They were co-creators, partners with nature, inextricably woven together in the web of life at the edge of the North American continent. Occidental society had developed simultaneously - but in a different direction. They developed the desire and the means to expand their worlds - by any means necessary. As their transportation became more sophisticated, they sought new shores, new worlds to conquer. In the 16th century, European explorers began to ply the waters of Southern California. The forays into this world were intermittant at first, but increasingly more frequent and more intrusive to the indigenous people here. The Portuguese and English were interested in this part of the world, but it was the Spanish who finally committed their resources to claiming this land - and all within it - for themselves. In 1782, a a Spanish fort, or presidio, was established in Santa Barbara. Indoctrination and religious conversion were waged against the indigenous people; forced labor and European diseases swept through the Chumash villages, killing thousands. By 1786, the building of the Santa Barbara Mission had been completed. The Spanish divided millions of acres here into ranchos, where cattle were raised to supply the entire world with tallow and hides. In this era, large schooner ships replaced crude, smaller ships, such as the galleons. Suddenly, the doors of the world were flung open. Every coastline of the world was now open to exploration - and exploitation. The powerful and dominant cultures of the world - European and Far Eastern - became enamored of the wild beauty that flourished in rampant elegance, all around the globe. Soon, potentates, royalty, and the wealthy wished to own the gems and fruits and flowers from afar, to be adorned with exotic animal skins, beautiful feathers, and luxurious fur pelts. 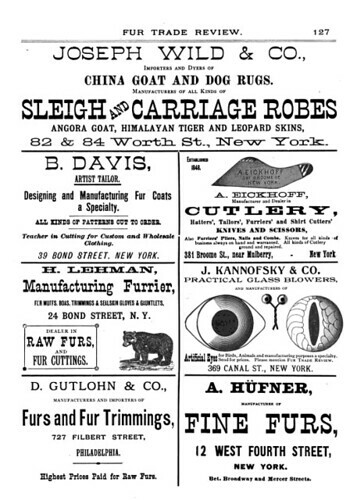 Along the coastline of California, the "fur trade" became especially lucrative. Ships from a variety of countries were plying the coastline for seal, beaver, and sea otter. In 1811, Captain Whittemore, a fur trader, was in command of a ship owned by Boardman and Pope of Boston. Whittemore sailed around the Cape toward the West Coast, and arrived at the Santa Barbara Channel Islands. He, too, was searching for sea otters. He had about 30 Kodiak Indians from Sitka, Alaska, among his crew. 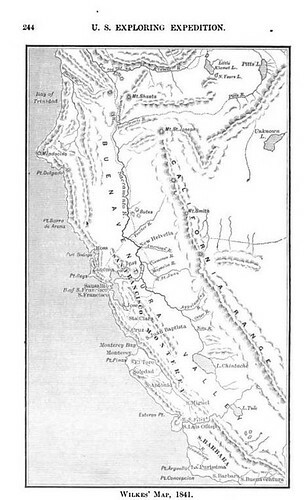 Whittemore deposited the Kodiaks on San Nicolas Island so they could hunt otter while he sailed on to South America. The Kodiaks were fully armed with weapons and confrontational attitudes. They were left on the Island, in part, to establish inroads for the Russian fur traders who often stopped along the coastline in their search for seal and otter. It was not long before a bitter dispute arose between the Kodiaks and the Chumash, ending with the shooting death of most of the Chumash men. When Captain Whittemore returned to claim his otter skins and his Kodiak crew, some of the Kodiaks kidnapped Chumash women for themselves, and took them back to the Pacific Northwest. 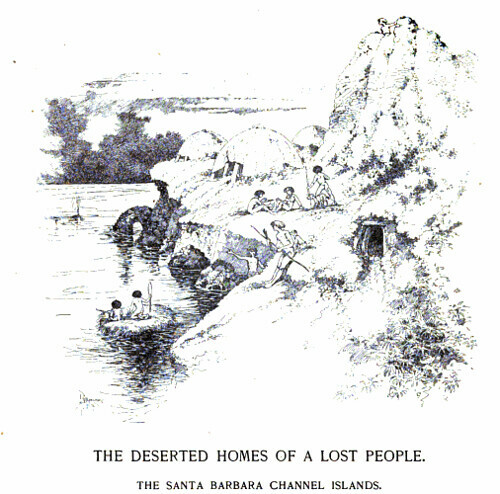 A very small population of Chumash survived, and they remained on the Island as its only inhabitants. Fur traders continued to frequent the islands, as well. The world's wealthiest, luxury-loving consumers were voracious in their demands for the soft, dense otter pelts. 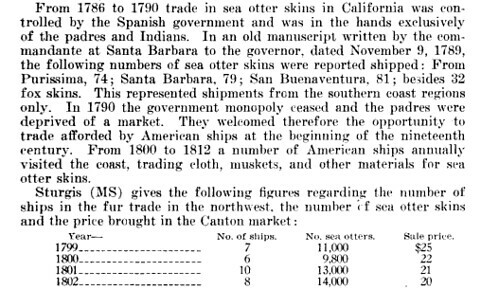 Sea otter pelts continued to bring incredible prices on the world market, and fur traders continued to make their way to California. Lutra (Enhydra) Marina - These interesting animals are gregarious, and frequently may be seen in bands numbering from fifty up to hundreds. When in rapid movement, they make alternate undulating leaps out of the water, plunging again, as do seals and porpoises. When in a state of quietude, they are much of the time on their backs. They are frequently seen in this posture, with the hind nippers extended, as if catching the breeze to sail or drift before it. They live on clams as well as crabs and other species of Crustacea, sometimes small fish. When the otter descends and brings up any article of food, it instantly resumes its habitual attitude on the back, to devour it. In sunny days, when looking, it sometimes shades its eyes with one forepaw, much in the same manner as a person does with the hand. The females usually have but a single young one at a birth, never more than two, which are brought forth on the kelp, say the white hunters, which abounds at nearly all points, known as their favorite resorting places. The mothers caress and suckle their offspring, seemingly with much affection, fondling them with their forepaws, reclining in their usual manner, and frequently uttering a plaintive strain which may have given rise to the saying that sea otters sing to quiet their young ones. But when startled, they rise perpendicularly, nearly half their lengths out of the water, and if their quick sharp eyes discover aught to cause alarm - the cubs are seized with the mouth and instantly all will disappear under water. Among the fur traders was Captain George Nidever, a sea captain and adventurer who was born in Tennessee. He first arrived in Santa Barbara in 1834. He hunted otter and learned Spanish. He fell in love with Maria Sinforosa Sanchez and the beautiful little Spanish town of Santa Barbara. In 1841, he converted to Catholicism the night before he married his beloved Sinforosa at the Santa Barbara Mission. "How long the Indians had been residents of the island, how they got there, and by whose authority they were removed, I know not. One of the Indians, rather dwarfed in intellect but possessing physical strength equal to three or four ordinary men, remained at San Pedro; two of the women were taken as concubines by two Americans living in Los Angeles County; the balance of the party divided, part going to Los Angeles and part to San Gabriel Mission. 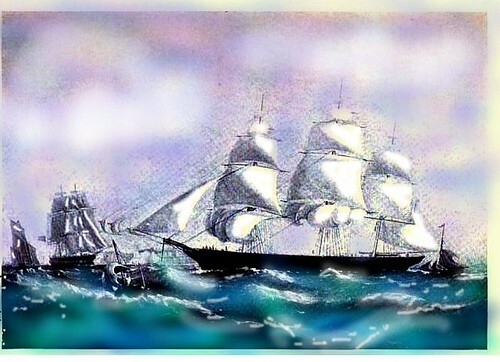 "She was absent gathering wood when the others were taken away, but returned to the camp, or quarters, and finding them deserted, followed in time to be taken aboard the schooner, but not finding her children there - one a babe at the breast and the other about three years old, she plunged into the water and swam ashore in search of them. "Unable to find her children, she returned to the beach just in time to see the schooner leaving. She called to those on board, but the only reply she got and which she remembered to the day of her death, was, "Mañana"... the Spanish word for tomorrow, evidently meaning that the schooner would return for her tomorrow or the following day. "She threw herself down on the beach and cried, long and bitterly. She did not find her children and supposed they were either taken off with the others, or carried away and devoured by the wild dogs on the island. She became very sick and lay a long time. "She could not compute time without either water or food, but finally recovered and forgot her grief in wandering about the island. She lived on a plant resembling the cabbage called by Californians palosanto, and a root known by the name of corcomite, also a yellow root (the name of which was not given), and seal, or sea lion blubber. 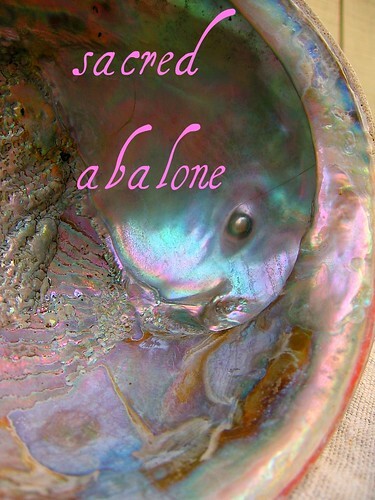 As she had abalone shell fish hooks and lines made of the sinews of the seal, it is probable she supplied herself with fish from the ocean." A storm arose, and prevented the Peor es Nada from returning to San Nicolas Island. Not long afterward, the ship was wrecked near San Francisco. The woman remained alone on the Island. 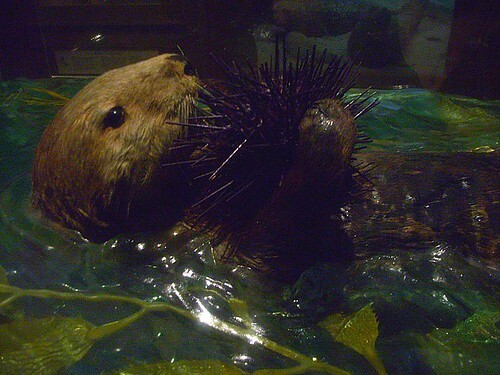 In 1851, our Captain Nidever sailed to the Island, hunting otter. He and his crew saw signs of recent human habitation, and wondered if it could be the Lone Woman of legend. However, after a search, they did not locate anyone. Again, in 1852, The Captain returned to San Nicolas for more otter. At the behest of the Mission fathers, he and his crew diligently searched for the woman left behind more than a decade before. Again, they found evidence of recent human activity, but they did not find the Lone Woman. A third voyage by Mr N and six others, four of whom were Indians from Santa Barbara Mission, was made to the island in July, 1853, and although otter hunting was the main object of the visit, the Indian woman was not forgotten. One of the party, Mr Deitman, discovered the object of their search at a distance. She was in one of her pens, or windbreaks, clothed in a garment made of the skins of the shag [cormorant] without sleeves, low necked, and as observed when standing, extending almost to the ankles. She was sitting cross-legged, skinning seal blubber with a rude knife. Upon seeing the strangers, it was reported that she did not hide or run away, but greeted the visitors warmly. In fact, she began to prepare a meal from her meager supplies. She was gracious and welcoming, although no one could understand her dialect, not even the other Chumash who had come with the party from the mainland. Through sign-language and gesturing, the Captain and his crew made it clear that they wanted her to join them, to leave the island on their ship. She gathered a few belongings, and boarded the ship. She accompanied the crew as they continued their route to the other islands in search of sea otter. Finally, they made their way back to Santa Barbara. 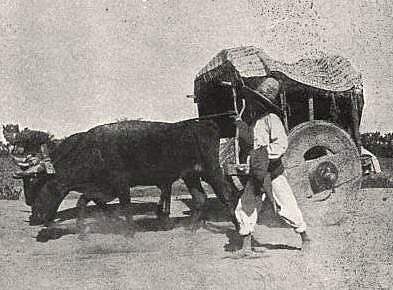 As the ship was about to land, our Lone Woman saw a wagon and ox team. she talked, laughed, danced, and gesticulated, and before that excitement ended, a man on horseback approached , which gave her even more pleasure than the ox team. At first, it was supposed that she thought the man and horse constituted one animal, but if so, the mistake was soon corrected, for on landing she went up to the horse and carefully examined it. The examination gave her additional pleasure. She would turn to her late companions and laughingly request them to look at the beast. 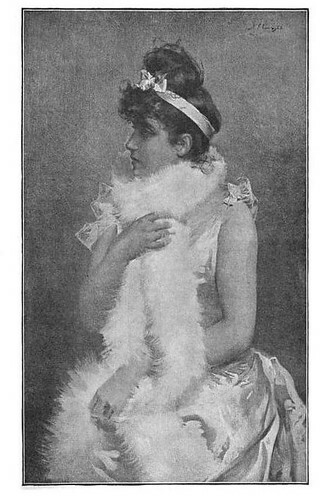 She was taken to the house of Mr Nidever, where she became the centre of attraction. The Mission Fathers took a great interest in her, sending to Los Angeles and other places hoping to find some one who understood her dialect, but all failed, even the Pepimaros Indians who were said to have had an acquaintance with the Indians of the Islands. Her manners were not rude, and in many things, she was more refined than many who enjoy civilized privileges, yet in many things, she was very much like a child. She wanted everything which she saw that appeared pleasant to the eye, or seemed good to the taste, and if fruit was withheld from her, she would plead for it in such a childlike manner that it was hard to refuse her. The Captain's wife, Sinforosa Nidever, had tried her best to make the Woman comfortable in her new home. When Sinforosa saw that the Western diet did not agree with the Woman, she attempted to help her return to her natural diet - roots,fish, seal, natural plants. But the Lone Woman would not do without her newly-discovered fruits, and vegetables, eggs, and beef. Mrs. Nidever was said to treat the Woman as a sister, and they developed an affective and affectionate communication between them. She greatly mourned the loss of her new friend, the Lone Woman. The death of the little Lone Woman is symbolic of a grevious loss - worldwide - that is almost too much to contemplate, or to bear. Entire cultures - and herds and flocks and forests - are gone forever. Life, and human history, have marched on. 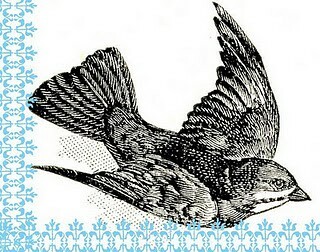 The Lone Woman was the inspiration for a beloved California tale, Island of the Blue Dolphins, and is part of the elementary school curriculum in California. Scott O'Dell, a native Californian, was passionate about chronicling the changes that history wrought on this coastline - and the changes imposed on our first, true, native Californians. Captain Nidever and his family grew to be some of Santa Barbara's most well-respected citizens. In addition to the chapter in his life that bisected with the Lone Woman of San Nicolas Island, Captain Nidever was an intrepid sea captain, a world traveler, an avid and successful hunter....and always, an adventurer. He traversed the continent while hunting for otters and grizzly bears. He crossed the Rocky Mountains to enter California. He enlisted in the California Regiment of Mounted Volunteers during the war with Mexico. He was with John C Fremont when California was claimed for the United States. Nidever purchased San Miguel Island, built a ranch, and raised livestock there for years. He was a father to six children. The Captain was immortalized in many stories. It seems that tests of courage and dramatic events were his destiny. He was even praised in this poetic ballad by Ralph Waldo Emerson. Emerson's poem, entitled, Courage, was widely printed in children's magazines and elementary school books at end of the 19th century.